"The matter-of-fact Mr. Wohlleben has delighted readers and talk-show audiences alike with the news &#151; long known to biologists &#151; that trees in the forest are social beings." "If you read this book, I believe that forests will become magical places for you, too." "In this spirited exploration, [Wohlleben] guarantees that readers will never look at these life forms in quite the same way again." "A paradigm-smashing chronicle of joyous entanglement that will make you joyously acknowledge your own entanglement in the ancient and ever-new web of being." "Soon after we begin to recognize trees for what they are &#151; gigantic beings thriving against incredible odds for hundreds of years &#151; we naturally come to ask, 'How do they do it?' This charming book tells how &#151; not as a lecture, more like a warm conversation with a favorite friend." "A powerful reminder to slow down and tune into the language of nature." "Charming, provocative, fascinating. In the tradition of Jean-Henri Fabre and other great naturalist story-tellers, Wohlleben relates imaginative, enthralling tales of ecology." "Wohlleben's book is at once romantic and scientific, beautifully articulating his personal relationship with the trees he has dedicated his life to. His view of the forest calls on us all to reevaluate our relationships with the plant world." "With colorful and engaging descriptions of little-known phenomena in our natural world, Wohlleben helps readers appreciate the exciting processes at work in the forests around them." 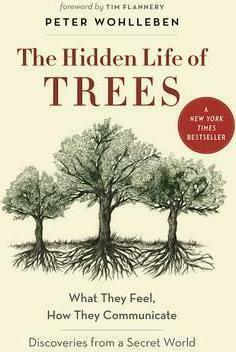 "You will never look at a tree the same way after reading Peter Wohlleben's The Hidden Life of Trees , which reveals the mind-boggling properties and behavior of these terrestrial giants. Read this electrifying book, then go out and hug a tree &#151; with admiration and gratitude." Peter Wohlleben spent over twenty years working for the forestry commission in Germany before leaving to put his ideas of ecology into practice. He now runs an environmentally-friendly woodland in Germany, where he is working for the return of primeval forests. He is the author of numerous books about trees. Tim Flannery is a scientist, explorer and conservationist. He is a leading writer on climate change and his books include Atmosphere of Hope and The Weather Makers.